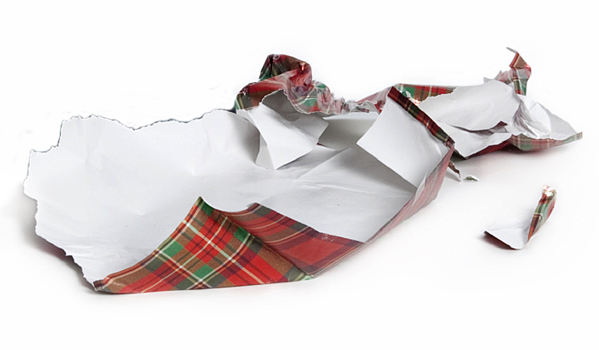 Are you dreading the inevitable mountain of Christmas wrapping paper that's fast approaching? Fear not! I've got some suggestions to help you put all that paper back to work! This list doesn't work just for Christmas wrapping paper, but also all sorts of wrapping paper, all year round. Wrapping paper that's not overtly Christmas themed (red and green, snowflakes, snowmen, Christmas trees, reindeer, manger scenes, etc) can be used all year round. If you are short on space at least save these! Line your drawers, shelves, storage boxes. A bit of color and pattern will liven up utilitarian spaces. Breakfast, brunch, lunch, dunch, linner, dinner can all get the upcycled treatment. Line a serving tray. Cut out place mats using it different patterns for bohemian chic and flip it over for a more consistent look. Paste it on some cardboard and make coasters for drinks. Wrap your flatware - napkin rings, chopstick covers, rewrap your disposable plasticware. Make a bouquet of paper flowers for a fun floral centerpiece. Covering all your books to give your shelves a stylish revamp. Cover cereal boxes and cardboard canisters to store small items. Cover tin cans and milk cartons and use them for vases or planters! 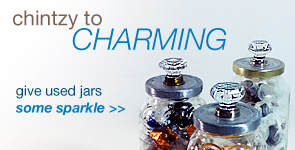 Cover glass jars. Sometimes is difficult to get the glue gunk off the glass. Just cut out a strip of wrapping paper and cover it up. 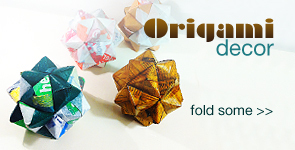 Wrapping paper is PERFECT for origami! Make a bookmark for the bookworm in your life or yourself. Get festive with pennant flag strings and party hat. Wrap another present. Refresh the look with other decorative accents like bows and ribbon. If the paper isn't coated, give it a light wash of watercolor or food coloring. Sometimes it's so beautiful that it begs to be framed. Imagine how flattered the gift giver will be when they see that you appreciate their wrapping paper as well as their gift. A New Year's Eve party hat with Santa on it would look silly. Decorative accessories covered in snowflakes would look weird in the spring. It's easy to see why Christmas themed wrapping paper is less versatile, but it doesn't mean our options are limited! 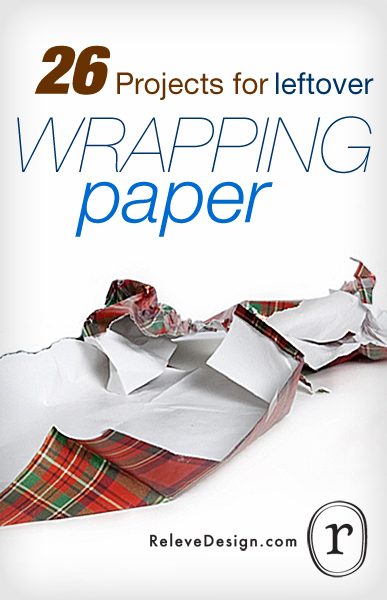 Here are some practical ideas perfect for all wrapping paper. 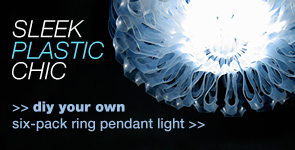 Use it immediately to pack away delicate Christmas decorations. Cover a box, and use more leftover wrapping paper to as packing material. Now you don't even need to label the box, to know that it has Christmas stuff in it. You can also save it for packing material all year round. Create next year's Christmas decorations - ornaments, garlands, wreaths, and countless other crafts that use paper. Save it to wrap next year's gifts. Just roll it all back up! Make bows. Depending the kind of bow you make, you can use it for next Christmas or other occasions. Make a card and matching envelope for Christmas thank you letter or belated Christmas greeting. Cut the paper into uniform sizes for a note pad. You can write on the plain side. Make paper doilies and put the plain sides up. Depending on how intricate you make the your pattern, you could even use the right side up. Roll paper beads that you can use for other projects. Make a rolled paper vase or bowl. If you're up for a challenge. You can take your old wrapping paper and make new paper! This isn't upcycling per se. You're just cutting out the middlemen and recycling the paper yourself. If there are any suggestions you like to see made into a tutorial for write a comment or send me a note! Ever since I was introduced to you from a rare look at TV and the Nate Berkus show, I’ve been blown away by your creativity and really inspired to “upcycle” my life— I live on Maui and island living will really make you appreciate the importance of conservation and recycling/repurposing! Anyway, thank you for sharing all these ideas publicly, and for having such a great smile, grace and charm in all that you do! Aloha Teresa! Thanks for watching! I’m very flattered. I’m the one who’s honored that I could inspire you to upcycle. I’ve been to Maui once. I love it! Maui is beautiful, and the people are so full of Aloha spirit! I actually visit my boyfriend’s family, in Aiea one island over twice a year. There’s a incredible community of masterfully skilled crafters on the Islands! I learned how to knit in Honolulu! I’m so glad you like the projects. If you haven’t done so already you can cast your votes for projects you’d like to see sooner. I’ll add the rolled paper vase and bowl to the list. Mahalo, Teresa! That’s a GREAT idea! Thanks, Judie!